I could dare say it's also not too take any kind of care by most of film & TV series works' critic. Even including legendary reviewer like Roger Ebort + my best colleague MOVY-2 in Douban, Mtime, Weibo and other platform in my native language plus now I live of the areas. 'Till now, he's still only one the Japanese actor who cooperated both starring in Akira Kurosawa and Makoto Shinkai's films! How humble but absolutely surprised with everyone!! 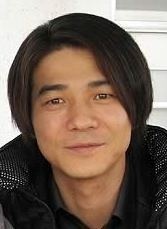 i like your voice as fujisawa, hiroki in Kumo no Mukou, Yakusoku no Basho.